Didn’t they hit only two shots back then? what are the 3 shots? do you know who borg is? or connors even? Yeah they were a bit different weren’t they? Anyway my guess is 2 feet for rally ball. 6 feet sounds like joke. 1 inch shorter than Federer’s height! I’d like to see that stat for current players. Stan hits a really high ball over the net. 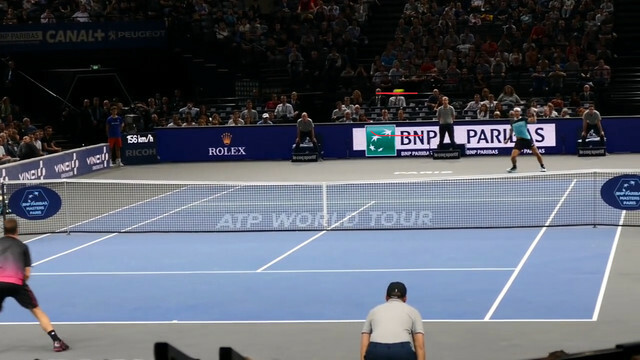 In this court level vid here you can see he hits a bunch that are around 5-6 feet over the height of the net. And some that are way higher. I have that book, but I never thought those numbers were correct and still don't. So you think Borg’s average groundstrokes were at 6 feet over the net? That’s again like Federer standing on the net cord and Borg’s shots just clear his head!! seems to line up with my experience..
when i’m at the baseline (say 2ft behind) and I hit a 3/4 pace ball that is waist height... I need to hit at least 6ft over the net to reach within 2ft of the opposing baseline. Maybe because your shots are not fast enough. Or he just hits more “arc” and “loop” as opposed to “drives”. 1.31 meters is between 4 and 4.5 feet and 0.59 meters is just under 2 feet. So given these numbers, I don't think Braden's were right. Those numbers sound about right to me. I will shoot some video soon at the AO standing just behind the player and exactly at the same level with him and post it here. This is from 7:40 in the video I posted above. Each of these red lines represents the height of the net in the middle (3 feet). You can see the ball is two net heights above the net. This isn’t a moonball. It’s a routine groundstroke that all good players use to push their opponents back while using topspin to keep the net out of play. If you watch the whole point, which starts at 7:30, you can see both players hit between 1 foot and 6 feet over the net depending upon the situation. There were only 2 shots there about 2 net heights above the net and the discussion is about average height over the net. Here’s another one between Laver and Borg. The point starting at 1:20 you can see Borgs shots are at least 5-6 feet over the net every time. There were dozens throughout the match. I’m disputing your claim that a ball that clears the net by more than 6 feet is a “moonball” by showing you it’s a shot all pros use in nearly every point. In other words, you don’t know wtf you’re talking about. I think the problem is that a lot of these guys believe they are hitting “good” shots because they look fast and don’t clear the net by much. When in reality, a low fast ball will usually land short and still get eaten up by any decent player. If it even clears the net to begin with. Go look up the meaning of average. I’m not disputing the average, professor. I’m saying your claim that a ball that clears the net by 6 feet is a “moonball” is pure 3.5 delusion. Moonball was a little exaggeration to emphasize my point. Besides if a rec player hits the ball 6 feet over the net and it lands on the baseline it could well be a moonball whereas Nadal's 6 feet above the net ball is a different story. Anyway does it mean you agree now that Borg's average groundies were not really 6 feet above the net? Sounds about right, but keep in mind that these players all vary the shots, so Nadal hits some lower ones and some even higher ones probably like 2 meter or more. While Federer who is more aggressive hits like 1meter ones probably for more rally balls or crosscourt angles, and lower than 0.5 meters for some very aggresive ones. vs avg height where a ball also landed “deep”. i’m a little guy and cant hit pro speeds. so yeah probably. yup. that was exactly the point braden made in his book. went on to say that rec players suffer from the same issue (think a low hard fast ball is the key to winning tennis). tipsarevic made a similar comment in a coaching documentary. moonballing denotes a lack of energy in the shot. borg also crushed the ball. perhaps not nadal like but definitely harder than your average rec player. 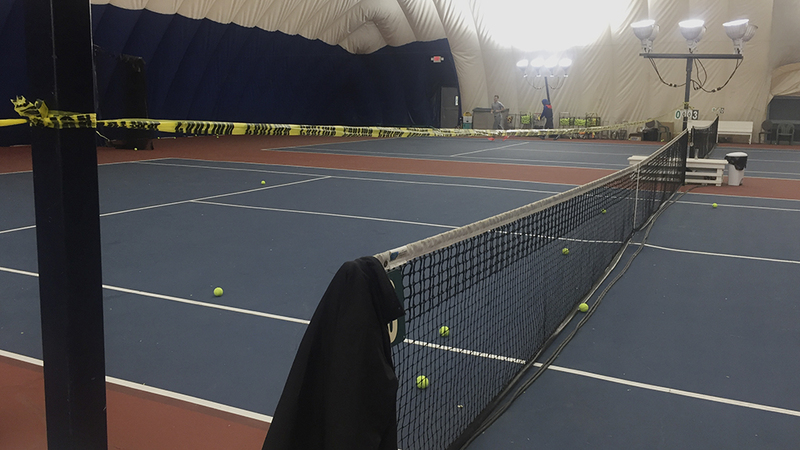 Have you ever been in one of those courts that measure speed, spin etc? Smart court or something, you guys in the USA have them all over the place, would be interesting seeing ur spinrates aswell, and also serve speeds. I've recently been doing drills with the juniors over at my old academy and one day they had this setup. Hit above the tape for neutral balls, below it for attacking flat balls. Of course, none of these kids are Federer or Nadal (yet), but they'll be D1 players or above. I think this is the “bread and butter” rally ball. What Brett Hobden calls the “arc ball”.